"Rajhans" has, over the years, grown to have now become the largest brand in the co-operative dairy industry in Maharashtra, Karnataka , Gujrat. 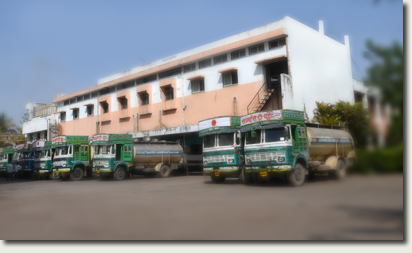 Rajhans milk Unions affiliated to it are handling, on an average, over 3 lakht Ltrs. of milk PER DAY. A very wide range of milk products- of short and long life- are made in well equipped hygienic manufacturing facilities (ISO certified/HACCP compliant) staffed by highly qualified and experienced professionals and skilled workmen. A most modern cheese production plant with a daily capacity of 1 tone expandable to 10 M.T. costing Rs.5.00 crores is installed and in operation. High quality milk required for production of cheese is being collected from bulk coolers. Within the framework of the export policy laid down by Government of India from time to time, Rajhans has resolved to undertake export of its products after the completion of all the required export formalities. Rajhans is planning to export the following products, they are.